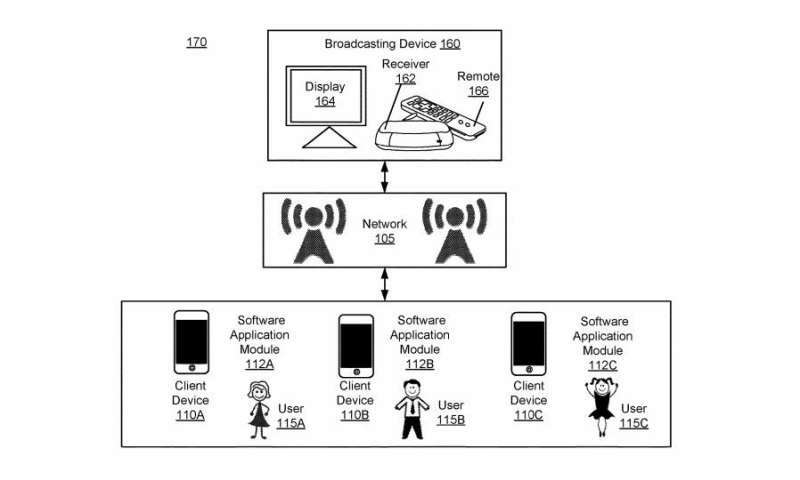 The patent is about software to allow the smartphones to begin recording when hearing messages hidden in TV ads, said Rachel England, Engadget. Ambient noise could impart information on what you are watching and reactions to ads. Facebook submitted the patent application (filed in late 2016) to turn on your smartphone mic to record "ambient audio" and send that back to Facebook. "What this essentially does is provide Facebook a recording of your response when a particular ad comes on the TV," said Adnan Farooqui in Ubergizmo. "If you have no audible response to the ad it will also be evident from the ambient audio recorded." Steven Melendez in Fast Company added to the explanations, that "Essentially, your phone or another device would detect, via Bluetooth or other signals, that it's near your turned-on TV and would record short snippets of sound." Olivia Solon in The Guardian described an "audio fingerprint" embedded in TV ads. These would be inaudible to human ears, but would trigger the phone to turn on the microphone and record ambient audio of the content item. How would this benefit advertisers and broadcast execs? "TV shows and ads could include high-pitched signals identifying precisely what you're watching, and that data could be beamed back to a central server to 'update user profiles of the individuals' in your household in order to better target users with personalized content, according to the patent application," said Melendez. This inaudible frequency blip had a purpose, he said, to determine whether or not a viewer listens to full or at least significant portions of content like ads, and to pass that information to Facebook. For example, he said, in reference to the patent, perfectly timed gaps in a high-frequency audio sample would tell Facebook that the TV viewer skipped the ad by installing a blocker. Say what? Triggered microphones that keep tabs on Facebook users? Tech-watching sites including Ubergizmo reported on Facebook's response to the news of such a patent. Facebook said that it does not ever intend to use the technology that it wants to patent. Hmm. Then why go the trouble of filing a patent for a technology that it does not ever intend to implement? "It is common practice to file patents to prevent aggression from other companies," Facebook VP and Deputy General Counsel Allen Lo said. "The technology in this patent has not been included in any of our products, and never will be." The patent was filed by Facebook in December 2016 and the publication date is last month, on June 14. Of course they don't plan on ever using it - that would be a criminal offense in most of the world.